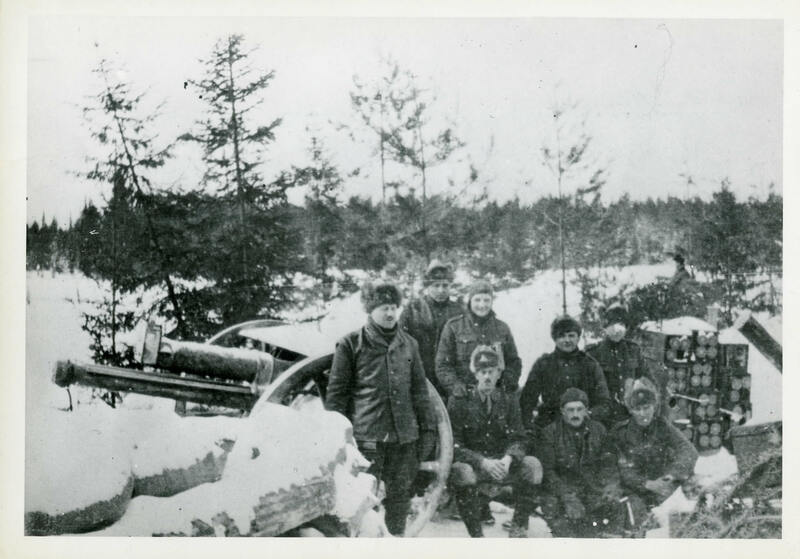 Eight soldiers of the Siberian Expeditionary Force pose around an 18-pounder. Crates of shells are stacked behind them. The soldiers are in uniform with winter dress hats suited to the weather.